Vizslas are beautiful but that is not a reason to get one. 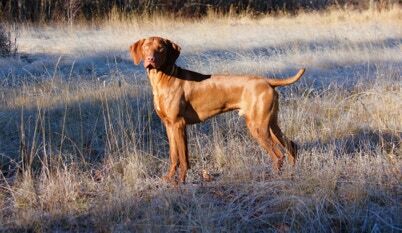 Vizslas were bred to be a close range hunting dog. They are high energy and need daily exercise with room to run in a safe environment. Vizslas are a soft dog . They are smart and learn quickly, if you train them with positive reinforcement. Vizslas need cuddle time with their people - every day. They earned their nickname “Velcro Vizsla”. Vizslas are a not independent and will become a nuisance if ignored, left out in the backyard or kennel run. Vizslas are not a fit for everyone! Do your research to find the breed that best fits your lifestyle, personality and expectations. A dog is a lifetime commitment. 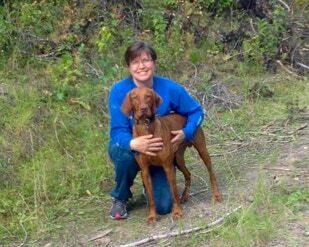 Links to more information on Vizslas..
How do Vizslas Compare to Goldens & Labs?